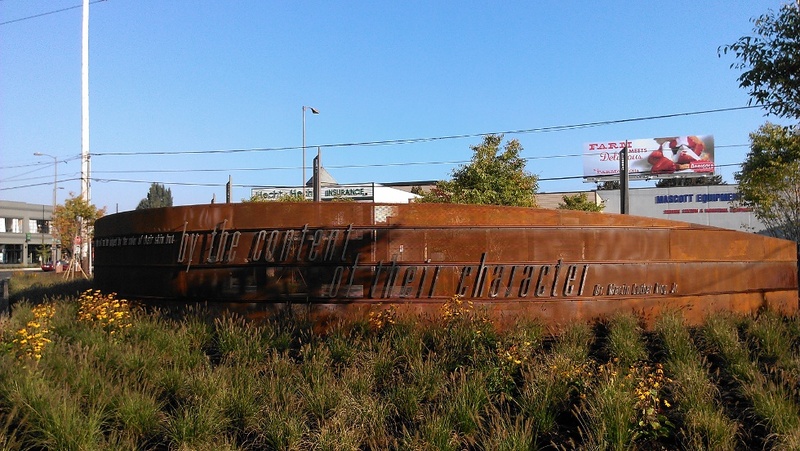 The Dr. Martin Luther King, Jr. Boulevard Gateway and Heritage Markers consists of 4 markers with 12 historical panels related to the history of Northeast Portland and a see-through wall separating traffic from park visitors. 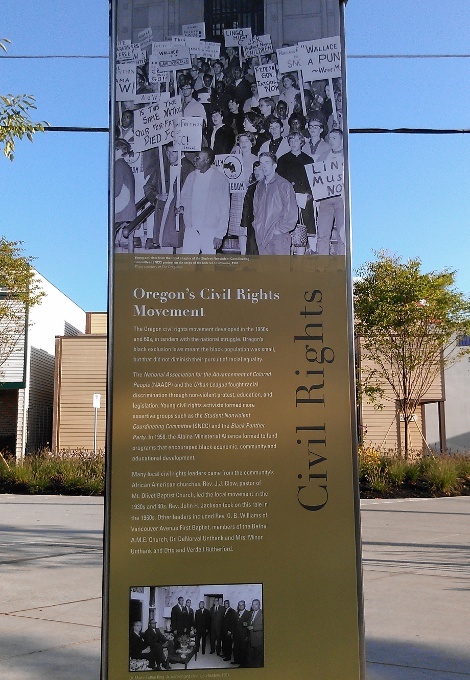 The markers tell the story of topics such as “Oregon Civil Rights Movement”, “Community Centers” and “Street History” of MLK. On the curved see-through wall is a message from Dr Martin Luther King Jr.
and with limited pedestrian access… it’s like a plaza surrounded by warehouses and traffic. This plaza needs to be integrated into a livable pedestrian oriented community, otherwise it’s a big waste.